Don't miss PLDA's INSPECTOR demonstration ! 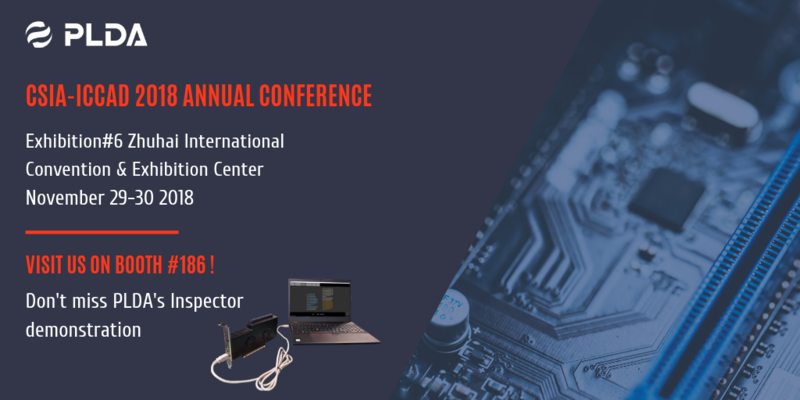 INSPECTOR is an interposer module designed for non-intrusive monitoring, diagnostic, exercizing and debug of PCIe devices. 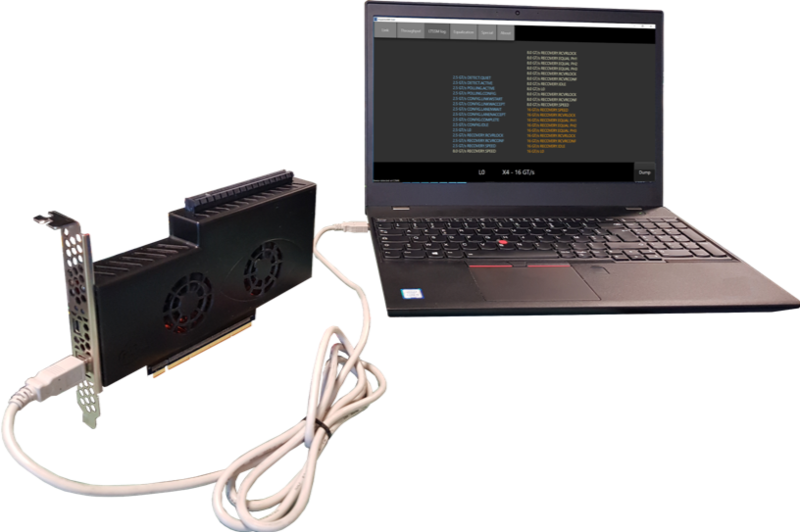 It uses transparent switching technology to connect on the upstream side to a PCIe host platform, and on the downstream side to the device under test (DUT). Will PCIe 5.0 become ubiquitous in tomorrow's SOCs ? On Friday, November 30, from 14:30 to 14:50, Rex Yu, senior field engineer, will give a presentation about PCIe 5.0. The race to gain silicon market share in the Enterprise space prompts semiconductor companies to develop SoCs with communication interfaces that provide the highest performance while enjoying broad market adoption. In this presentation we look at the PCIe 5.0 specification and its positioning in the boiling market of high speed interfaces. We review the challenges and pitfalls associated with the implementation of the PCIe 5.0 interface protocol and provide some guidelines for successful integration in SoCs. Let's discuss your projects and issues on PLDA's booth #186 ! We will be happy to introduce our products and share our knowledge.